Practical gifts for the home can be such great gifts for people who enjoy cooking, cleaning or entertaining this holiday season or for newly married couples or new homeowners! They really are a gift that can be used over and over and, therefore, it keeps giving! Colori®+ Classic knives offer convenience through their sharpness, secure-grip handles, and lightweight design, making all of your kitchen prep tasks a breeze. This versatile set offers a greater amount of control for slicing, de-boning, and other kitchen prep-tasks. Paring Knife: perfect for slicing cheese for your sandwich, peeling an apple, or chopping vegetables. Serrated Paring Knife: perfect for slicing bread, tomatoes, and other soft fruits. Serrated Utility Knife: perfect for slicing smooth-skinned fruits and vegetables, bread, or meat. Shark’s most technologically advanced ultra-light upright provides remarkable floor to ceiling cleaning and obliterates embedded dirt and stuck-on dust, while providing improved flexibility. With Triple Particle Cleaning designed for an incredible clean, the new dual brushroll system automatically transitions from floors to carpets.The dirt that gathers on floors and in carpets comes in three sizes - small, large, and stuck-on. Cleaning all three can be a real challenge for an ordinary vacuum. With Triple Particle Cleaning™, there's no need to rely on dustmops and brooms to get the dirt left behind. Purchase for $199.80 from the Shark website. 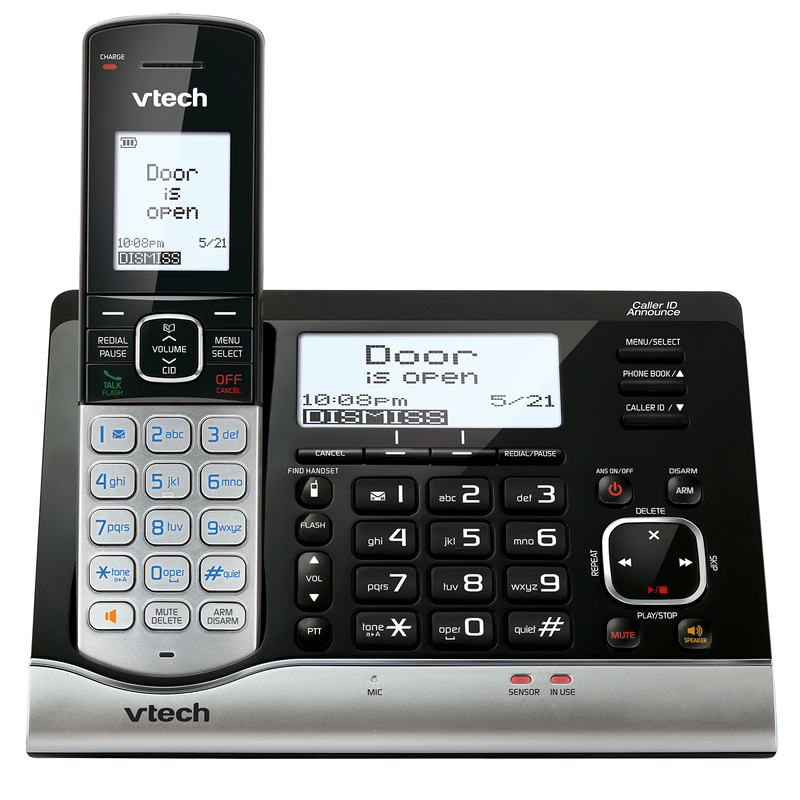 This Vtech home phone system comes with a garage door sensor that alerts you when your garage door opens. Additionally, the included open/closed sensors can be placed on windows, doors and medicine cabinets, providing an alert system for homeowners when an off-limit area is accessed. Alerts can be sent to both the home phone system as well as any mobile device. Garage door sensor: Receive alerts on your home phone when your garage door opens. Open/closed sensor: Know if important areas are secure with magnetic sensors you can put almost anywhere, including windows, doors and medicine cabinets. Sensor alert: Hear and see the message "door is open," so you'll know if you forgot to close it, or when someone has entered the house. Programmable alerts: Customize when you receive alerts: when the garage door or an object opens, when it has been open for more than a certain amount of time, or after a certain time of day. 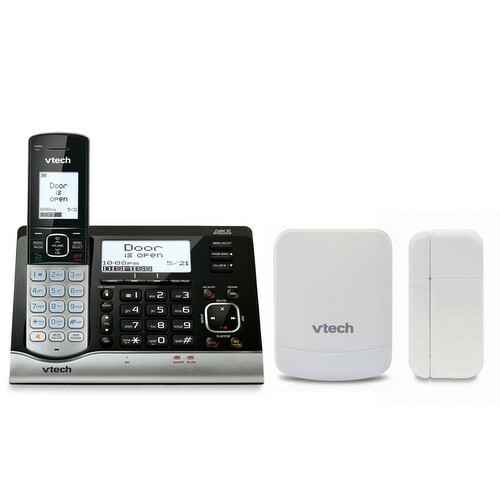 Remote alerts: The VTech Wireless Monitoring System can call any number to announce programmed sensor alerts. Purchase for $89.99 from the Oster website.